In the Sales record, go to the Other information tab and click the Cancel this sale button. 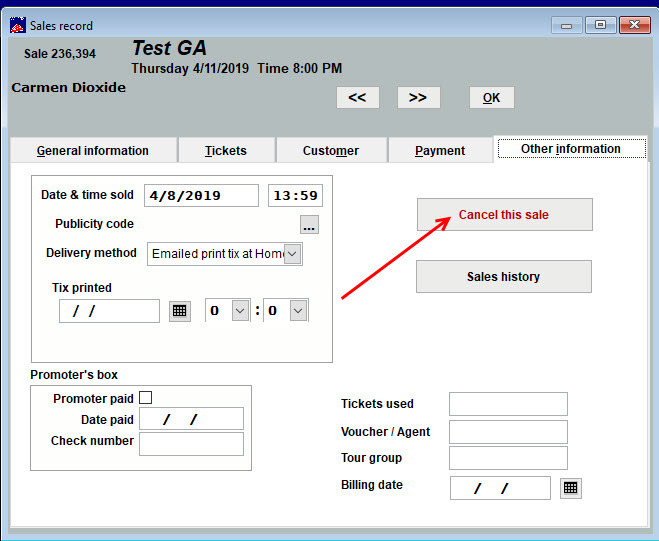 When you click on the Cancel this sale button and you haven’t already printed tickets, you will get this message – see below. Choose Cancel this sale and completely remove it. 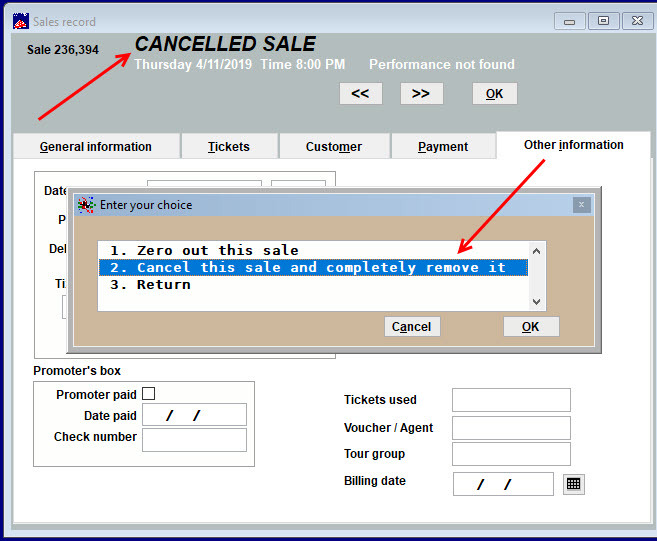 After you’ve clicked OK, Wintix will take a few seconds to cancel the sale, so don’t press any other buttons until the sale has been cancelled. 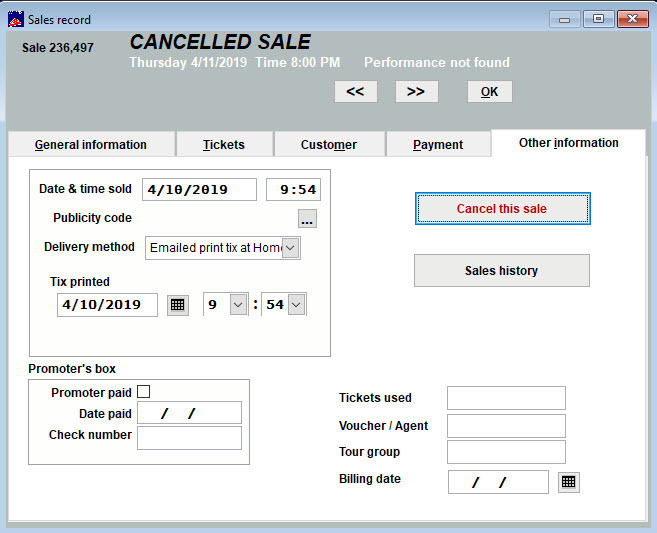 Once the sale is cancelled, the sales record will remove the name of the event and change to Cancelled sale. This entry was posted in Wintix 6 and tagged tutorial, User manual. Bookmark the permalink.